Night in Mountanious Adjara region. 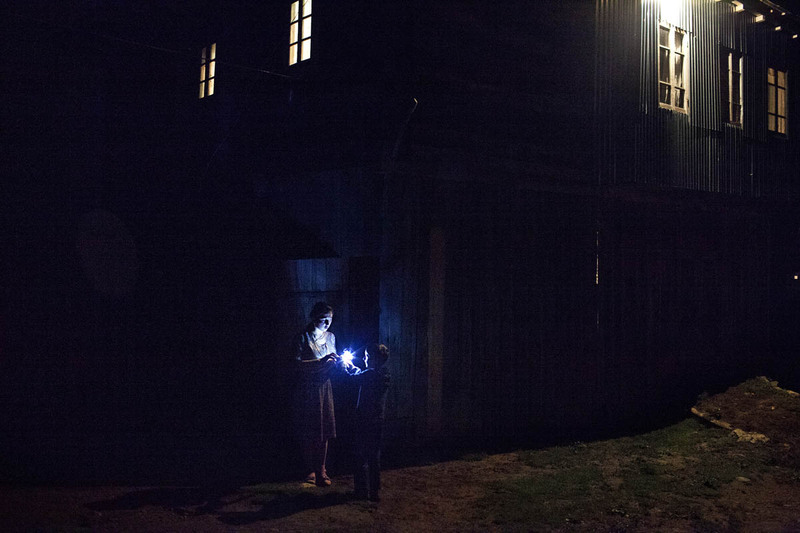 Newly engaged girl, giving a flashlight to her neighbor. kid.